In celebration of the release of Surviving Santiago on June 2nd, I’m thrilled that our guest today is Lyn Miller-Lachmann! Surviving Santiago is set in the tense, final months of the Pinochet regime in 1989 Chile and is the suspenseful tale of the survival and redemption of the Aguilar family, first introduced in the critically acclaimed Gringolandia. Returning to her home city of Santiago is the last thing Tina Aguilar wants to do during the summer of her sixteenth birthday. She’s been in America for eight years, gone without seeing her father for just as long. Worse, after she arrives in Santiago, her father spends more time focused on politics and a bottle of liquor than on her. When Frankie, a mysterious stranger, shows up, Tina falls for him, only later discovering Frankie’s reason for being in her neighborhood is far from incidental or innocent. Tina’s heart is already in turmoil, but adding her and her family’s survival into the mix brings Tina to the edge of truth and discovery. In addition to Gringolandia and Surviving Santiago, Lyn is also the author of Rogue, a novel for middle grade readers and the editor of an anthology of short stories by contemporary Latina and Latino authors, Once Upon a Cuento. Lyn is the assistant host of “Los Vientos del Pueblo” a bilingual program of Latin American and Spanish music, poetry, and history that currently airs on WRPI-FM on Sundays from 2-6 pm EST, and is an adroit LEGO creator, having built the diversely-populated Little Brick Township, through which she tells stories featured on Instagram and her blog. Lyn has recently relocated to New York City and spent four weeks in Portugal, so it is the perfect time to discover—in Lyn’s own words—What Was on Her . . .
Lower East Side Corner: I can see Katz’s Delicatessen from my window, along with one of my favorite ice cream places in the city, Laboratorio de Gelato. Downstairs is an excellent food market, so I hardly have to go outside to get the ingredients for a great meal. My block also has five bars, so the area can get kind of rowdy at night. Three blocks north of my building was a building once known as “Frat House in the City” for the number of recent college grads among the tenants and their habit of having roof parties all summer with a DJ. Window sill: Me, checking out the goings on downstairs. The apartment has four big windows with comfortable window seats and a fire escape. Packing List: I never go anywhere without my laptop, especially since I’m hard at work on a new historical novel set in Portugal in the 1960s, during that country’s dictatorship. I also brought clothes for warmer weather than we’ve had in New York City this spring. 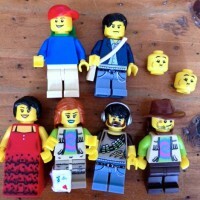 Finally, I brought a selection of my favorite Lego minifigures to experience Portugal along with me. They’re making their appearance on Instagram, traveling through the country and having their own dramas and adventures. Calendar of Events: My book launch party is taking place at Bluestockings Bookstore, 172 Allen St., on the Lower East Side of Manhattan, Thursday, June 11 at 7 pm. In June I’m also attending the Alumni Mini-Residency at Vermont College of Fine Arts, where my smart and lovely editor, Lisa Cheng at Running Press, is one of the speakers. And at the end of June, I’m heading to the American Library Association conference in San Francisco, where I’m speaking at a panel organized by We Need Diverse Books and the ALA Office of Intellectual Freedom. The topic is the disproportionate presence of diverse books on each year’s list of most challenged books, why our books tend to attract the attention of would-be censors, and why it’s so important to make these books available to young readers. Catalogue of Most Exotic Foods Tried in Lisbon: When my husband and I first moved to Lisbon with his Fulbright fellowship, I was impressed by the freshness and variety of seafood. However, the most interesting restaurant that made our list of favorites is one called Zaafran, established by people from Goa, in India, who lived for many years in Mozambique and then came to Portugal after the April 25, 1974 revolution and the end of the colonial wars. The dishes at Zaafran have their origins in India but with a strong East African influence in the use of peanuts and some of the spices. Catalogue of Most Exotic Foods Tried in New York City: Savory ice cream. There are at least five excellent ice cream shops within a ten-minute walk from my apartment. One of them, Morganstern’s, specializes in savory (not sweet) ice cream flavors based on vegetables. However, my current favorite of the five is A.B. Biagi, whose proprietor is from São Paulo, Brazil and who makes the best chocolate mint ice cream—with real mint. It’s not super sweet either, and it has a touch of salt, which makes it interesting and unusual. 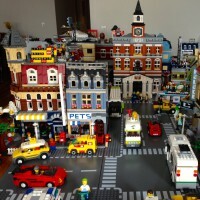 Table: Little Brick Township, comprised of every modular set Lego has produced since 2006 along with parts of other sets (such as the City transit centre and a train station) and some pieces I’ve built myself. I’ve added a suburban area to the town in its new home in New York City, as a reminder of the many years that I lived in the suburbs. LEGO Fan Event Program: This is one of my high points of a spring visit to Lisbon. 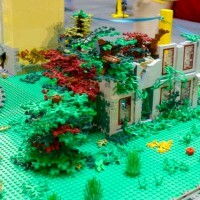 The Lego Fan Event runs from the last week of April into May and features the best creations of Adult Fans of Lego from Portugal and elsewhere in Europe. Some of the highlights of the past two years are the Cologne Cathedral and Usse Castle (the inspiration for Sleeping Beauty), created by the award-winning German builder Jürgen Bramigk, a medieval village in Portugal, and models of historic buildings in Lisbon and elsewhere created by master builder Pedro Nascimento. This year, I was especially moved by a recreation of a ruined family home in the Portuguese countryside because it made me think of Carla Maia de Almeida’s Irmão Lobo (Brother Wolf), a novel that I recently read in Portuguese and am hoping to translate and bring to young readers in the United States. Play List: My work in progress is set in part in the fado cafés of Lisbon, so I’m listening to a lot of fado. Known as the “Portuguese blues,” fado emerged in the popular neighborhoods of Lisbon in the nineteenth century and features a singer accompanied by a guitar and sometimes a viola. The subjects are frequently melancholy, dealing with themes such as poverty and deprivation and lost love, but there’s also a lot of humor, innuendo, and social criticism. In the 1960s, a genre of fado known as fado de intervenção emerged in opposition to the Salazar dictatorship. Because fado songs had to be approved by the government, these singers often performed in clandestine venues and recorded their music out of the country to be smuggled back in. 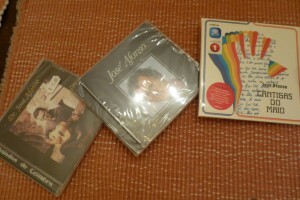 The best known of these singers was José “Zeca” Afonso, who wrote the anthem of the 1974 revolution, “Grândola Vila Morena,” and is considered a national hero. One of Zeca’s other songs, “Maria Faia,” plays a role in my new novel. 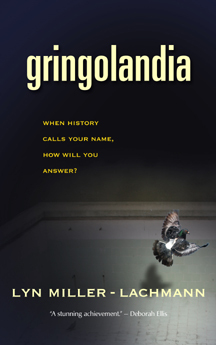 Revolutionary music also plays a role in Surviving Santiago and its predecessor, Gringolandia. During the Pinochet dictatorship, protest singers also had to record clandestinely and play in underground venues. To Do List for Her Launch Party: Cross fingers that people will come. I’ve never been good at putting parties together. I was a social outcast in middle and high school (see Rogue), so I don’t have a lot of experience in this area. Mind: Definitely why We Need Diverse Books. Our young people deserve books that reflect their histories, lives, and dreams, and we need to build bridges by including everyone’s story in the canon. For too long, many of our stories have been ignored or excluded, and now that books by diverse authors are making their way into the mainstream—because what is the “majority” in an increasingly diverse country anyway?—there are people who want to challenge those books in schools and libraries. In the most recent list of 10 most banned books, seven were by or about people of color or LGBTQIA persons. We need more perspectives, not fewer. All our children need to see that books are for them, that their lives matter, and that we are all citizens of an increasingly diverse and interdependent world. Tags: A Writer's Process, Gringolandia, Gringolandia Surviving Santiago Rogue Lyn Miller-Lachmann, Lyn Miller-Lachmann, Rogue, Surviving Santiago, What Was on Her, What Was on My, Writing. Bookmark the permalink. 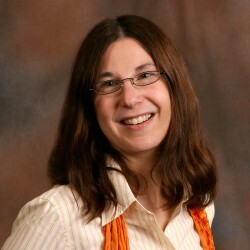 Previous post ← Dana Walrath–What Was on Her . . . Always a pleasure to read these What Was On posts. Lovely to see Lyn here. Lyn, I can’t wait to have you on the blog to talk about this book. Can you recommend some fado songs? Are any on YouTube? Thanks, Linda. And me too–can’t wait to see what you and Lyn cook up! I always love these posts, Sandra, and it’s a special bonus when the interviewee is a Secret Gardener! Can’t wait to read Surviving Santiago, Lyn! Thank you, Laurie! I hope you enjoy it. I’d love to come to your school again and talk to the same kids I saw two years ago, now that they’re in high school and mature enough to read Surviving Santiago and Gringolandia. Laurie, thanks so much! And for folks who don’t know, Laurie is also part of the Secret Gardener class of Vermont College of Find Arts. Another great post, Sandra, by the endlessly interesting Lyn Miller-Lachman. I feel like I should have you give me a tour of New York, Lyn, even though I live here. 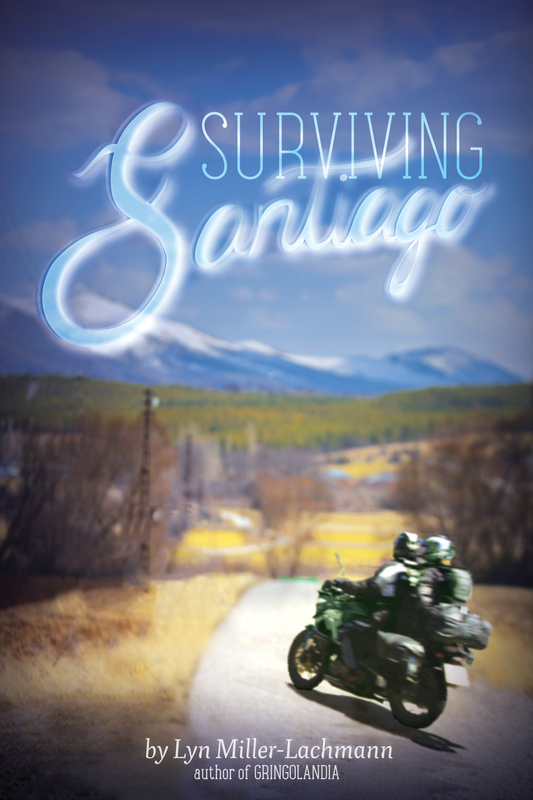 Congrats on the publication of Surviving Santiago! Thank you, Kate! You have to come visit and see the neighborhood and, of course, our new apartment and Little Brick Township.